We specialize in private kitesurfing couching and semiprivate couching with max 2 people per instructor. We use radio helmets to maximize the speed of your progress. Fun and experienced IKO qualified instructors will make sure you learn in safe and enjoyable way. We can organize your accommodation in our surf houses or apartments. We work with new a gear from Liquid Force. 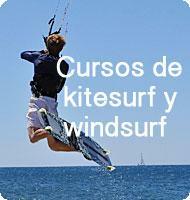 We will make sure you will have perfect holiday in our windy paradise Tarifa. Great school, great people and a great spot. Tarifa is just the best place in Europe and I now can enjoy it really! Thank you Team for teaching me!!! Thank you Gone Kiting Tarifa and the whole team for a great time. I had some lessons before in other schools and I have to say that Gone Kiting has the best teachers!